What Is Micro Hybrid ? What Is Start Stop System In Automobiles? What Is Start Stop System? How Does It Save Fuel? Innovations come along with new products including cars and motorcycles and are necessary in terms of advancement and consumer satisfaction. In today’s world innovations grow like mushrooms with almost every brand offering you a sophisticated technology which you may not understand but is important. If one has to make a choice between luxury and running cost, many of the customers will be inclined towards the running cost or the fuel consumption of the vehicle and to suppress it, numerous innovations and inventions have been done. Today we will talk about the Start Stop System, which is a system designed to make the optimum use of the fuel in Start-Stop conditions. In 1980s Volkswagen Polo and the Fiat Regta were the first cars to flaunt this new technology which forwarded to Volkswagen Golf in 1994, VW Lupo and Audi A2 3.0 L. Though initially the technology failed to impress many drivers due to its high cost, it was later accepted whole heartedly. What Is Start Stop System? 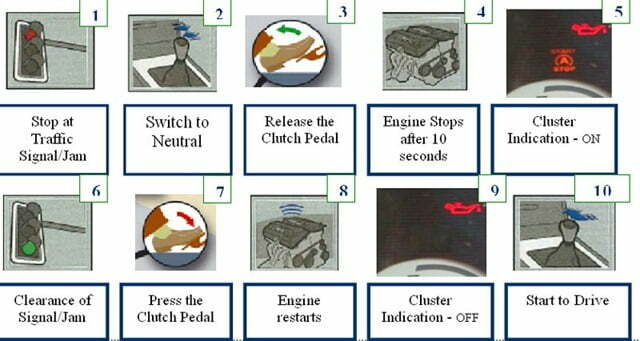 The Start Stop system is based on a simple principle of not burning the fuel when it is not required. 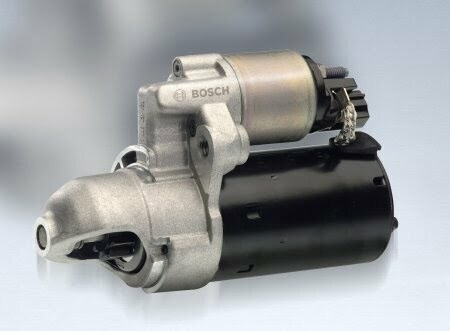 The system automatically detects occasions during your drive when the vehicle is idle & stops the engine thus conserving fuel. 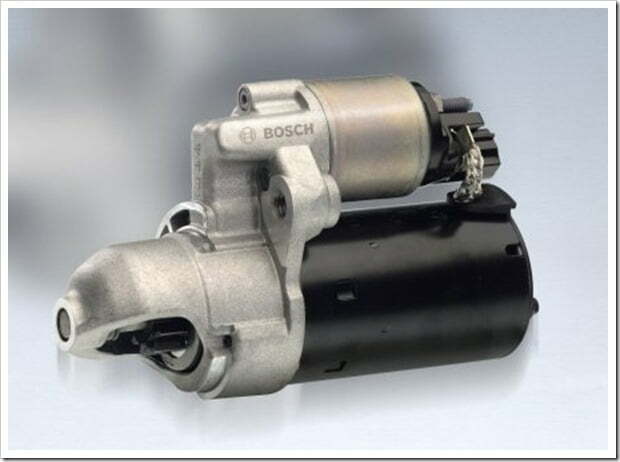 Thus it aids in attaining better fuel efficiency & reducing running costs. How Start Stop System Works? Vehicle has come to halt due to traffic signal/jam, is in neutral gear. The engine will shut down automatically after 10 seconds. Just before stopping, the indicator in the cluster will blink indicating the engine is going to stop shortly. The indicator will glow on your instrument cluster indicating the engine has stopped due to stop start device. 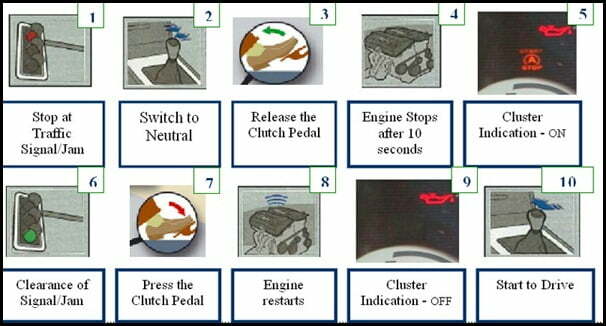 Once the Signal turns green, press the clutch pedal & engine starts immediately. The indicator on the cluster goes off indicating that engine has started again & you are ready to drive on with the vehicle. Since the engine is switched off during traffic signals/jams, considerable amount of CO2 release to the atmosphere is avoided and eventually reduces global warming. A few lakh rupees. The technology certainly has value for money and do hope that other brands consider it an important part for their products as well.